The Russian anti-virus vendor Doctor Web announced integration of the Dr.Web Firewall into Dr.Web for Windows. Designed to protect a system from unauthorized remote access and prevent data leaks, the firewall has become the main highlight of the new products Dr.Web Anti-virus Pro and Dr.Web Security Space Pro. Dr.Web Firewall allows users to filter inbound and outbound Internet traffic on packet and application layers. Interface developers did their best to provide users with easy-to-use tools for configuration and control over the firewall’s numerous complex features. 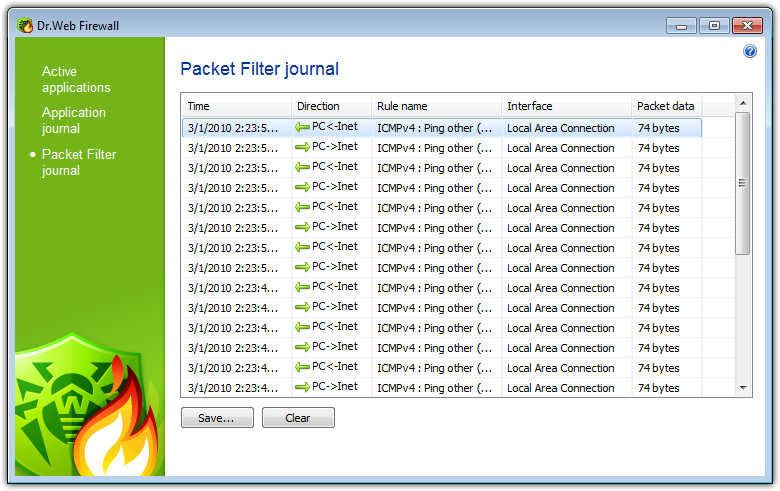 By default the firewall starts working in the training mode and prompts a user to create a filtering rule whenever the operating system or an application attempts to connect to the Internet. Blocking and allow unknown connections modes are also available. 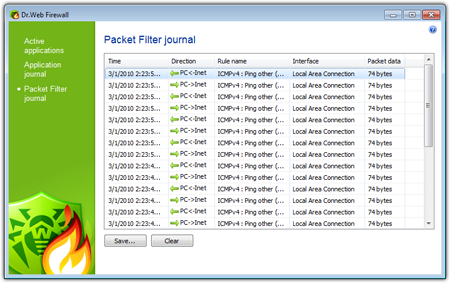 With detailed configuration of filtering rules a user can fine-tune the firewall as he sees fit. Besides, the firewall allows switching between several sets of rules. Dr.Web Firewall is controlled by means of the SpIDer Agent component. Apart from tools for configuring and toggling the firewall on/off SpIDer Agent also provides access to detailed firewall statistics: the application log and the firewall log. Dr.Web Firewall requires OS Windows 7/Vista/XP SP2/2000 (SP4 + Update Rollup 1 (32- and 64-bit). Users of Dr.Web anti-virus for Windows and Dr.Web Security Space (license for six months or longer) can take advantage of the low-cost upgrade to products featuring the firewall and get the solution at the renewal price even if their license has already expired. In order to upgrade purchase a renewal license for Dr.Web Anti-virus Pro or Dr.Web Security Space Pro for 1, 2 or 3 years. The remaining period of your current license will be added to the new license period and you will be able to use the firewall as soon as you register your renewal serial number (More).